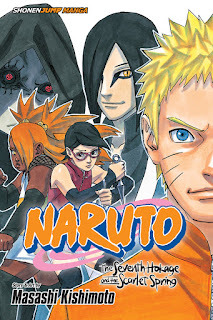 Naruto: The Seventh Hokage and the Scarlet Spring (Naruto -ナルト- 外伝 ～七代目火影と緋色の花つ月～ Naruto Gaiden: Nanadaime Hokage to Akairo no Hanatsuzuk) is a spin-off manga written and illustrated by Masashi Kishimoto. 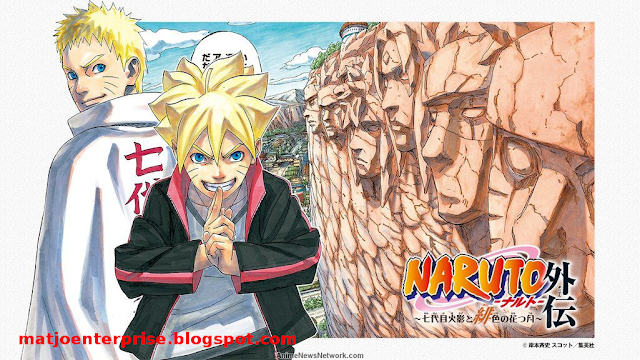 Set shortly after the series' epilogue, the plot focuses on a young ninja in training from Konohagakure, Sarada Uchiha. Concerned about the identity of her absent father, Sasuke Uchiha, and whether or not Sakura Uchiha is her true mother, she goes on a quest to confirm her origins but ends up confronting a group of people who want to kill her father.